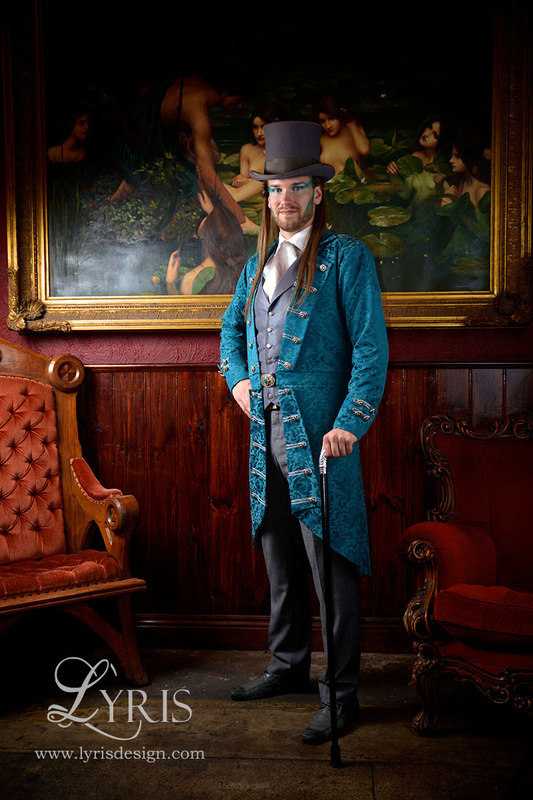 Every dapper gentleman needs a frock coat. 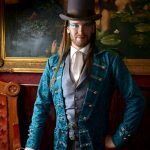 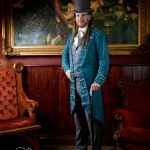 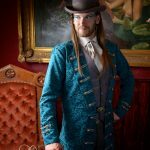 This coat is luxuriously rich in teal brocade, with silver braid and button detailing and an exquisite silver and turquoise buckle. 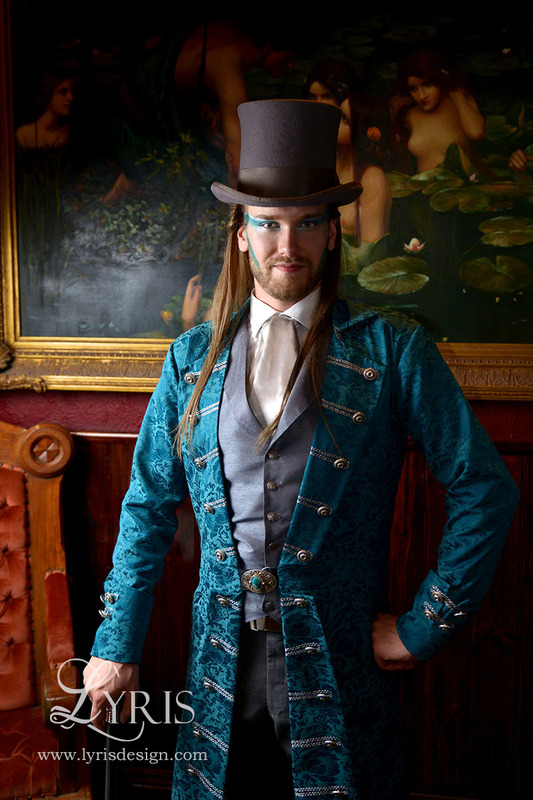 A silver waistcoat and cravat complete the ensemble. 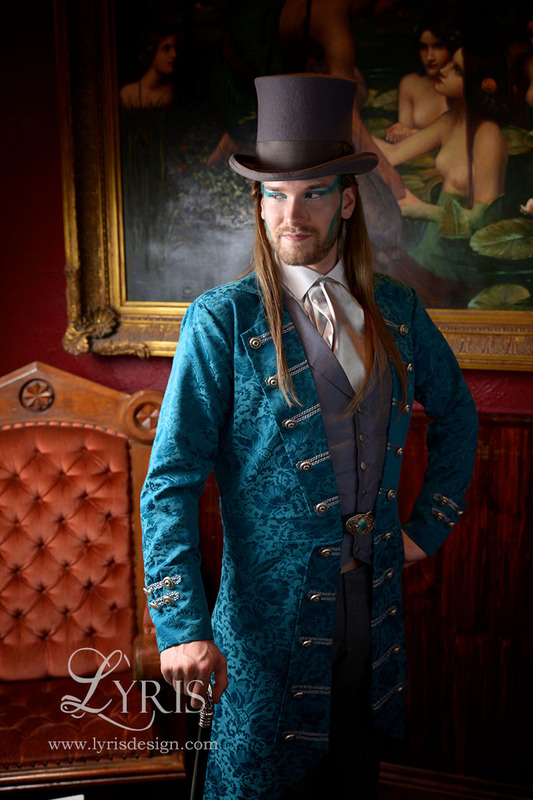 These images were featured in Strange Beauty Magazine, issue 7, 2015.